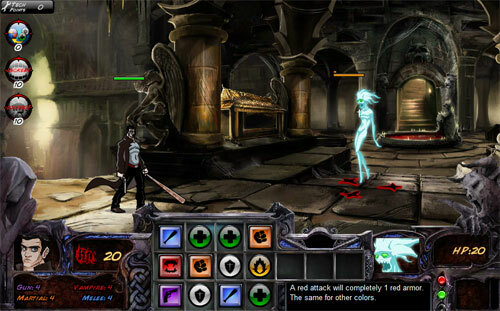 Description Your mission in this action RPG game that mixes elements of Hack 'N' Slash games and Bejeweled is to play as John Turner, a reluctant vampire and take down hordes of enemy creatures across eight story-filled chapters. Enemies have weaknesses to certain colored attacks, encouraging you to find specific patterns on the grid for maximum success. Good luck! Very nice game, very well drawn and overall look! Awesome!